The purpose of National Engineers Week taking place February 19-25, 2012 is to call attention to the contributions to society that engineers make. 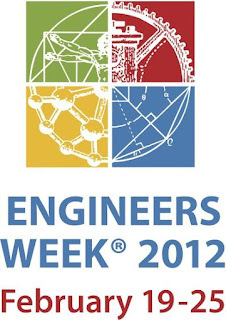 The celebration of National Engineers Week was started in 1951 by the National Society of Professional Engineers in conjunction with President George Washington's birthday. President Washington is considered as the nation's first engineer. California Metal & Supply would like to recognize engineers for their contributions to our business and communities. Our very first YouTube Video! California Metal & Supply's intro video on YouTube with Sales Manager Tony Gione. Let us show you how we put the pedal to the metal! * If you have trouble loading the video, click here. The video was produced courtesy of the SCMBDC. Southern California Minority Business Council, Inc. (SCMBDC) is a non-profit, 501(c)3 organization whose mission is to support and develop Minority Business Enterprises (MBE) to compete and succeed in the open market. 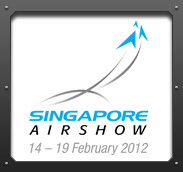 Singapore Airshow 2012 - We'll be there! Singapore Airshow, Asia’s largest and one of the top three aerospace and defence shows in the world, returns from 14-19 February 2012 at the Changi Exhibition Centre. It has consistently drawn strong attendance from high-level military delegations, senior government officials and leading industry players. Presenting the finest in aviation technologies and systems from some 900 companies across 50 countries. California Metal & Supply Inc. will be there to experience a multitude of strategic networking opportunities, insightful exchanges of ideas between movers and shakers in the industry, and discover an invaluable showcase of innovation. Hope to see you there! Email Kenneth to set up a meeting while there: kenneth@californiametal.com.